A Chinese white metal rectangular plate was presented to Charles by the Chinese staff of Shanghai Lighthouse Service of the Chinese Maritime Customs on his retirement after 28 years of service. It is almost certain that Charles and Helen had set up home together as a personal story indicates that she was known as Aunt Helen in the family. 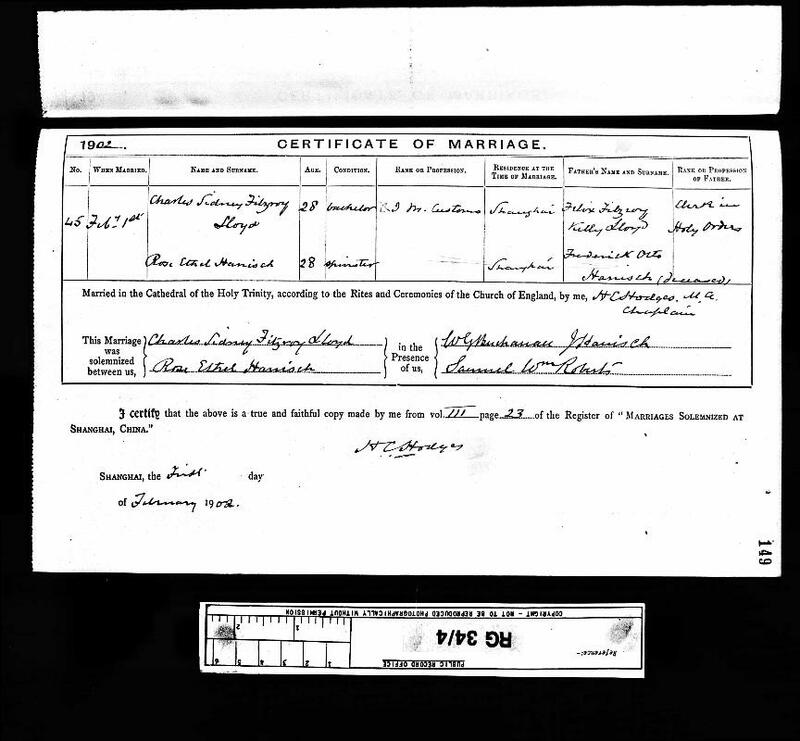 Her death certifcate gives her name as Helen FITZROY but no trace can be found as to who she actually was. 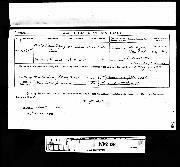 Charles Sydney was shown on Canadian Passenger List of Empress of Russia arriving from Hong Kong to Vancouver, British Columbia with his Wife and Daughter on 31st March 1919. They then sailed from St John, New Brunswick on the SS Scotian to Liverpool arriving 19 April 1919 and going on to the home of Sir Horatio Lloyd in Chester. Also on board was Walter Ernest Lloyd born abt 1888 going on to 14 Headstone Drive, Harrow - probably no relation. He left the UK alone on 20 Aug 1919 departing from Liverpool on the SS Peleus back to Shanghai. His wife and daughter left London on the 5 October 1920 aboard SS Iyo Maru bound for Shanghai. We then find him travelling alone on the Shidzuoka Maru departing Shanghai on 11 Aug 1928 after retiring from his service in Shanghai arriving at Seattle Washington on 25 Aug 1928. 20 Jan 1910 - a report in the East Fife record stated that he had been appointed Commodore of the Shanghai Yacht Club from 1911-1912. A reference can be found regarding his work in Shanghai and his involvement with the Shanghai Yacht Club - www.eveline1911.com/her-history/her-owners-profiles/ - which describes a boat that he owned whilst stationed there with the Chinese Imperial Maratime Customs. THis article also reports that he died around 1941 in the UK but this has not been verified and is unlikely as my wife, his niece met him around 1950. The Old Shanghai A-Z details Lloyd Road - a short road and home to the Thai Shan Brick and Tile Company named after Charles Sidney, a senior official at the Chinese Imperial Maritime Customs.